Boldon CA suffered a shock defeat at the hands of Hylton, who themselves moved off the foot of the table with the vital victory. 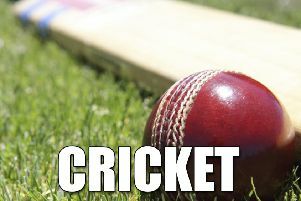 Boldon dropped to sixth in the Readers Durham Cricket League Division Two after the five-wickets defeat to Hylton, who claimed only their second victory of the season. Boldon CA only made 96, with Dominic Slater top scoring with 22, after both openers Dan Watson and Alex Thomas made 17. On the bowling front, Faz Hussain with 4-37 stole the honours with the ball. Hylton lost early wickets, but Matty Billyard with 28 and Daniel Chapman with 26 not out, saw their team home to victory. Marsden made the journey to Tudhoe, third in Division One, but returned empty handed. Tudhoe amassed 261-4 declared, as Daniel Thexton claimed an excellent century, scoring 120 not out, from 99 balls, with 17 fours and four sixes. Roshan Jayatissa added 31 and Ian Grainger fired 57 not out, from 45 balls. Marsden were quickly dispatched at 138 all out, as Jayatissa (4-32) and Daniel Brown (3-39) did the damage with the ball. Opener Chris Mann struck 44 and Jack Cole added 34, but they were no match for the home side. Boldon entertained a rampant Sunderland side, with the Ashbrooke outfit racking up a massive 310-7 in the Dukes ECB NEPL Premier Division First Division encounter. Sunderland’s Dan Shurben made an excellent 108, with Ramanpreet Singh adding 79, to the huge score. In reply, Boldon made the draw with seven wickets down, scoring 170-7 in the process. South Shields remain bottom of the league after they went down heavily at home to Blaydon, by 113 runs. The visitors made 233-8, thanks mainly to 83 not out from Ross Nicholson, off 138 balls, including seven fours and 36 from Geoff Stewart. 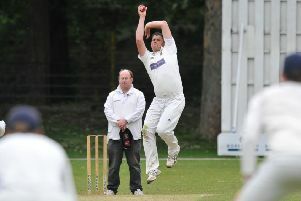 On the bowling front, there were two wickets apiece from Sam Embleton, Oliver Appleby and Rupesh Borade. Shields were never in the race as John O’Neill ripped up the batting order, claiming 6-29 and Gary Stewart took 2-36, with Chris Rainbow top scoring with 21 runs and they were eventually all out for just 120. In the Dukes ECB NEPL Premier Division, Whitburn welcomed Benwell Hill and the visitors won the toss and decided to bat first. James Scofield made 64 and the Mark Dale (34) and Peter Halliday (39no), got them up to 229, putting on vital runs towards the end of the innings. Kieran Waterson with 4-53 and Craig Smith 3-54, bowled well for the home side. The home side made a decent start, with openers Jackson Edmondstone scoring 35 and Lee Henderson 68, but Jacques Snyman put the brakes on with 4-45 and although Ben Markham made 40, they fell nine runs short of victory on 221-9.